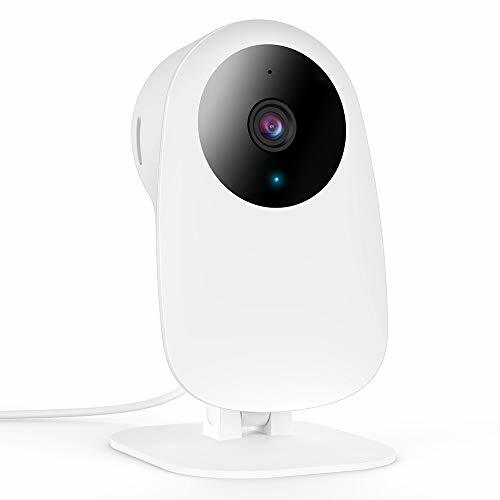 Product prices and availability are accurate as of 2019-04-20 14:38:45 EDT and are subject to change. Any price and availability information displayed on http://www.amazon.com/ at the time of purchase will apply to the purchase of this product. 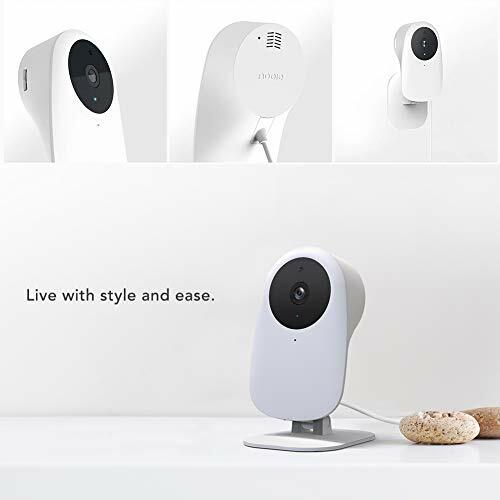 Nooie Cam Indoor 720P, live with style and ease, keep tabs on home remotely 24/7. 1. Only support 2.4GHz wifi, not 5GHz. 2. Wifi password less than 31 words, no special characters "=". 3. No more than 5 meters from camera, no wall between camera and router. 4. If fail in connection, please reset and try again when indicator flashes red. 5. For the first connection and wifi paring, the camera and phone connect the same 2.4Ghz wifi. 1. Micro SD card above class 6. 2. Insert/remove the formatted card when out of power. 3. Check the playback after 6 minutes because each video is recorded in 5 minutes. 4. If the camera can't recognize SD card, format card with computer by choosing FAT32. 1. 7x24 continuous recording, view motion alerts when motion detected. 2. Cloud storage will only save 7-day records, automatically deleted after 7-day. ?Tips for Micro SD Card Storage? 1. Motion detected recording: view 1-minute video alerts. 2. Continuous recording: New recording will cover old recording automatically when card is full. When it's off, only record during motion detection. ENHANCED DAY & NIGHT VISION: Monitors in HD 720P with high-quality sensor & lens to capture a clearer view. Night vision up to 32ft (10m) in pitch-black. Turn on/off status light in app so as not to affect sleep. 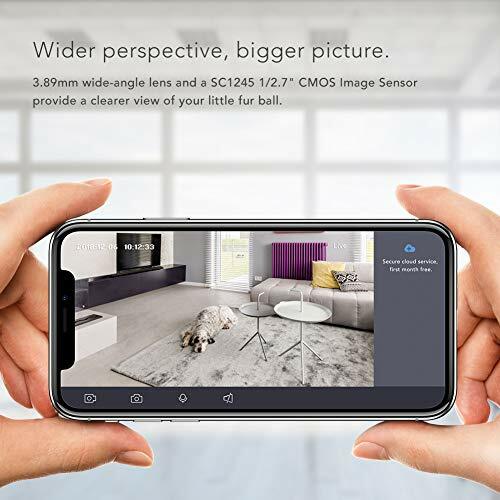 TWO-WAY AUDIO: Listen and talk to family or pets directly from your phone anytime, anywhere via the indoor camera built-in microphone and speaker (with anti-noise tech). MOTION DETECTION: Check in your home anytime with 24/7 live streaming. 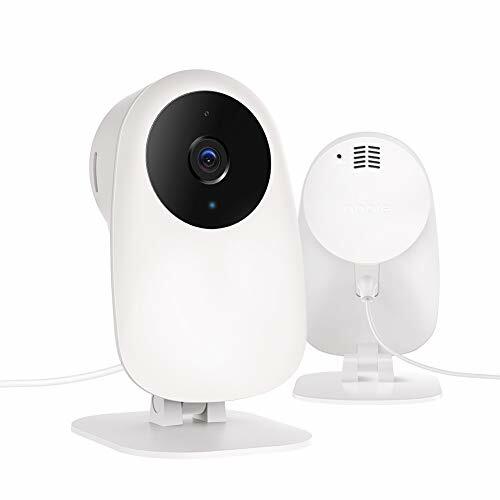 Nooie Cam sends real-time notifications to your phone when motion is detected.Only support 2.4GHz wifi. USER FRIENDLY DESIGN: Nooie app provides a user manual, FAQs and More Help for faster support. Simple installation with one-click sharing of all your videos. SECURE DATA STORAGE: Continues recording or motion detected recording available. 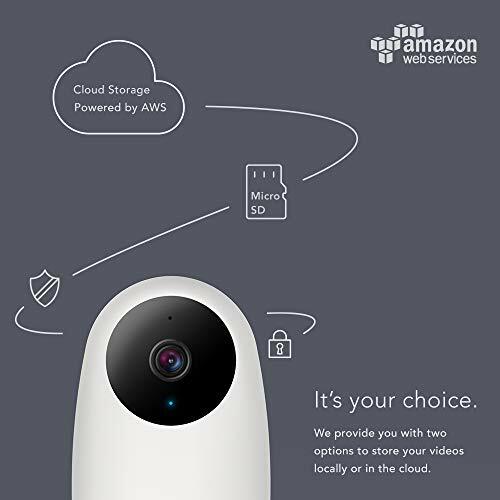 Supports Micro SD card or 7-day Cloud Storage (provided by Amazon Web Services). Free cloud 30-day trial ($5/month thereafter). For more details, check our FAQ section at www.nooie.com.